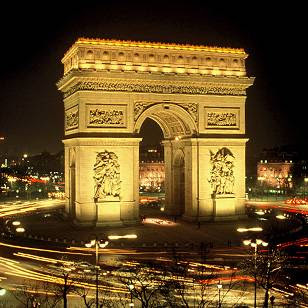 My journey from the hotel, involved a drive through central Paris, including a lap of the roundabout surrounding the Arc de Triomphe, it wasnt as scary as I had expected, mostly because I arrived on it before I had much time to realise what could happen. The next street we went along, I had to take a left, and almost forgot the oncoming traffic, after some screeching of brakes and tooting of horns...we moved on, unscathed if a little shaken. 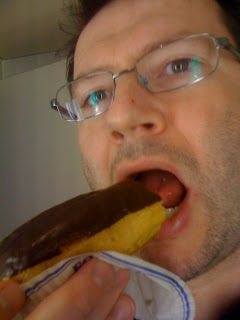 I have been to the local boulangerie and I couldn't leave without an eclair. Tomorrow the Chateau de Versailles and then a further car journey to our overnight stop in Albert. Its peaceful and tranquil here. Just perfect.